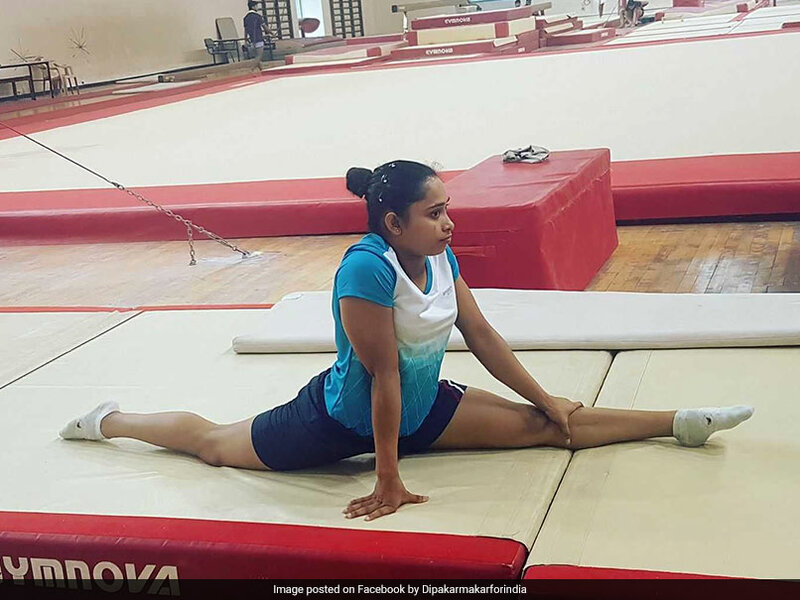 Star Indian gymnast Dipa Karmakar pulled out of the artistic team finals of the ongoing Asian Games after a career-threatening knee injury flared up again. Star Indian gymnast Dipa Karmakar pulled out of the artistic team finals of the ongoing Asian Games after a career-threatening knee injury flared up again. "...there was risk of a dangerous injury, so she could not be her best. We will give her rest from the team event but she will definitely do well in (balancing) beam finals," Dipa's coach Bisweswar Nandi told PTI. Asked if competing in beam finals will affect the knee adversely, Nandi said, "No, the landing is not hard on balancing beam." A sobbing Dipa blamed it on a jerk felt during the 'podium practice' and insisted she will strive to make up for the lost opportunity by shining in the balancing beam finals. Dipa, who attained global fame attempting the death-defying 'Produnova' vault at a stage no less than Olympics for a fourth-place finish in 2016, could not even qualify for her pet event here. "I felt jerk during podium training. I could not do my best. I had trained hard for this," Dipa said. After the high of Rio, Dipa remained out of action due to a knee injury and had made a comeback only recently at the World Challenge Cup in Mersin Turkey, where she won a gold in vault. It was her first event after undergoing an Anterior Cruciate Ligament (ACL) surgery in Mumbai, last year in July. She was forced to skip the Commonwealth Games too. Nandi said Dipa was inconsolable after failing to qualify here. "She said, vault is my identity, what will people say? I told her that it was not her fault but she was very upset. She did not have dinner last night and now she is refusing to breakfast too," Nandi said. Explaining how the injury flared up, Nandi said, "On Monday she started feeling a jerk in her knee while landing. The surface here is hard and the one in Delhi was soft (foam) which would absorb the jerk. "We consulted the IOA doctor here and he advised that she should not push, otherwise it will aggravate." Despite the heartbreak, Dipa can take solace from the fact that she is the first Indian gymnast to qualify for beam finals at the Asian Games. Nandi said she will consult Dr Anant Joshi, who is conducted her ACL surgery, after returning to India but he is confident that Dipa will make a comeback soon. "It's a jerk and a two-week rest would be enough. We just did not want to aggravate the injury, so speed had to be compromised. She will be back and soon."